Back by popular demand, Alibis in the Archive (in association with the Crime Writers’ Association and The Detection Club) returns for a second year to bring some of the UK’s best-loved crime writers to Hawarden. Over a weekend of talk sessions and murder mystery evenings, the weekend centres around The Crime Writers’ Association Archive which incorporates the archives and documentation of The Detection Club, the oldest and most august society of crime writers in the world, and for which Gladstone’s Library is the proud home. To view the draft timetable please click here. Professor James Grieve draws on his lifetime expertise in Forensic Pathology. The March of the Medical Policeman will involve musings on murder and mythology through the millennium and review some old cases. Professor Grieve was brought up in Motherwell and graduated in Medicine from Aberdeen University in 1977. After initial training in Pathology in Aberdeen, he subsequently spent some time in the Royal Army Medical Corps spending two years in Washington DC and about four years in London, before returning to Aberdeen in 1989 as the Senior Lecturer in Forensic Medicine at the University of Aberdeen, retiring from the post in 2014. As Emeritus Professor in Forensic Medicine at the University of Aberdeen, he continues to assist, part-time, in the provision of the Forensic Pathology Service to the North of Scotland. In that role, under instruction from the Crown Office and Procurator Fiscal Service, he performs post-mortem investigations, to include sudden unexpected natural events, suicides, homicides and accidents, as well as deaths possibly resulting from medical mishap. He has regularly given evidence in the criminal courts and at Fatal Accident Inquiries, and continues to occasionally lecture to Medical and Law students as well as postgraduate groups and the Police. This event will look at some real-life murder cases and discuss how they helped to create the climate which enabled British crime fiction to flourish between the Wars. 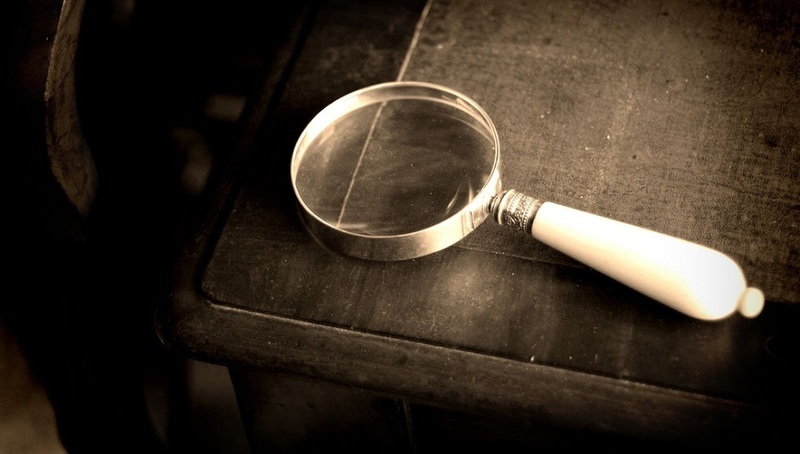 In particular, Andrew will deal with two cases that were distantly connected to his own family (the Moat Farm Murder of 1899 and the 1921 murder of Irene Wilkins) and discuss the impact on some of his own novels. Andrew Taylor has won the CWA Cartier Diamond Dagger, the Historical Dagger (three times) and other awards. His first novel, Caroline Minuscule, won the John Creasey award (now known as the New Blood Dagger). Other books include the international bestseller, The American Boy, about Edgar Allan Poe and boyhood in England; Bleeding Heart Square, a murder mystery with real life antecedents; the Roth Trilogy (filmed for TV as Fallen Angel) which moved backwards in time and experimented in the forms of crime fiction; the Dougal Series; and the Lydmouth Series, set in the 1950s on the borders of England and Wales. His most recent books are the Times number one bestseller The Ashes of London and its sequel The Fire Court, which are set in Restoration England, together with a number of ghost stories. He also reviews in the Spectator and The Times. Martin Edwards is the author of 18 novels, including the Lake District Mysteries and the Harry Devlin series. The Coffin Trail was shortlisted for the Theakston’s Prize for Crime Novel of the Year, while All the Lonely People was nominated for the John Creasey Memorial Dagger for best first crime novel. He has edited 37 crime anthologies, has won the CWA Short Story Dagger and the CWA Margery Allingham Prize, and is series consultant for the British Library’s Crime Classics. His non-fiction books include the award-winning The Golden Age of Murder and The Story of Classic Crime in 100 Books. He has been Chair of the CWA since January 2017, and has received the Red Herring award for services to the CWA. In 2015, he was elected eighth President of the Detection Club. He is also archivist for both the CWA and the Detection Club. In 2017, he received the Poirot award for his contribution to the genre. The British Crime Writing Archives, inaugurated at Gladstone’s Library last year, continues to grow and attract interest from crime researches worldwide. Martin Edwards, archivist of the CWA and the Detection Club, will tell the story of the archives’ development, and plans for the future, in conversation with colleagues from the CWA and Detection Club. Derbyshire has a fascinating history as a location in crime novels. From J Sheridan Le Fanu to Val McDermid, writers have drawn inspiration from the county. Sarah Ward, whose own books are set in the Peak District, explores how the diverse landscape of Derbyshire has produced memorable crime fiction. Sarah Ward is the author of three DC Childs novels, In Bitter Chill, A Deadly Thaw and A Patient Fury, set in the Derbyshire Peak District where she lives. Her fourth book in the series, The Shrouded Path, is out in September. On her blog Crimepieces she reviews the best of current crime fiction published around the world. She is a judge for the Petrona Award for Scandinavian translated crime novels. Sarah was a 2015 Amazon Rising Star and A Patient Fury was The Observer's Thriller of the Month in 2017. Ruth Dudley Edwards explains how she recovers from writing seriously about politics, revolution and terrorism by writing satirical crime novels. Inspired in her childhood by the Golden Age greats – particularly the hilarious Edmund Crispin and Michael Innes - and by comic geniuses like P.G. Wodehouse, the targets of her 12 crime novels include academia (in Cambridge and Indiana), the civil service, the House of Lords, the Church of England, literary prizes, conceptual art and - always - political correctness. A firm believer in learning to laugh at everything and a dedicated opponent of fashionable opinions, she will talk about how she chooses her subjects, why she so loves the crime-writing world and its inhabitants, and why she’s never met a fan of her crime novels that she did not like. Brought up and educated in Dublin until she left at 21, historian, journalist and broadcaster Ruth Dudley Edwards has lived in London for decades, describes herself as British-Irish and has been a full-time writer since she left the civil service in 1979. Her non-fiction includes biographies of the Irish revolutionaries Patrick Pearse and James Connolly, The Pursuit of Reason: The Economist 1843-1993, True Brits: inside the Foreign Office, Newspapermen: Hugh Cudlipp, Cecil Harmsworth King and the glory days of Fleet Street and The Faithful Tribe: an intimate portrait of the loyal institutions. Winner of the James Tate Black Prize in 1987 for a biography of the publisher Victor Gollancz, Ruth was short-listed in 2017 for the Orwell Prize for The Seven: the Lives and Legacies of the Founding Fathers of the Irish Republic. She won the Crime Writers’ Association Non-Fiction Gold Dagger for Aftermath: the Omagh Bombings and the Families’ Pursuit of Justice (2010), the CrimeFest Last Laugh Award for Murdering Americans (2008) and the Goldsboro Last Laugh Award for Killing the Emperors (2013). As a writer and speaker, she believes in saying what she thinks without worrying about offending anyone. Michael Jecks, the author of 40 historical novels, will talk about life as a modern crime writer who chooses to write about the past. What are the challenges of researching, plotting and writing medieval murder stories, but also what are the benefits of setting crimes in the past? He will talk about picking the period, finding the characters, choosing the novel’s theme, and trying to avoid the pitfalls, such as how far a horse can travel, where did the roads lead, and where to go for inspiration. Michael’s talk will be based on anecdotes from his own experiences as a professional writer for 25 years, struggling with publishers to bring out books that resonate with the modern world and which people want to read! Originally working in the computer industry, Michael Jecks has become one of the nation’s most prolific authors, with 41 novels, two short story collections, and seven collaborative works published. He is the author of the best-selling Templar series, which follows the exploits of a fourteenth century Keeper of the King’s Peace; the Bloody Mary Tudor series featuring an incompetent assassin; and his Vintener trilogy, which follows a vintaine of archers on the Crécy, Calais and Poitiers campaigns. A keen supporter of new writing, Michael has been Organiser of the CWA’s Debut Dagger competition and has judged many competitions and awards. For two years he was a Royal Literary Fund Fellow, helping Exeter University students to develop their writing, and more recently gave workshops on writing at the Swanwick summer school. The founder of Medieval Murderers, Michael is a past Chair of the Crime Writers’ Association, and is Honorary Secretary of the Detection Club. He was International Guest of Honour for the Crime Writers of Canada in 2014. That same year he was honoured to be Grand Master of the first parade at the New Orleans Mardi Gras. Michael can often be found walking his dogs on Dartmoor, which inspires so many of his stories. A one-man show in which Simon Brett skewers all the clichés of the Golden Age Whodunit. A terrible crime has been committed at Cranfield Towers, during a weekend house party, whose guests all seem to have guilty secrets in their pasts. The local constabulary are summoned to solve the mystery, but fortunately there is also on hand a polymathic amateur sleuth, along with his chauffeur sidekick. The investigation is full of twists and turns, but eventually the perpetrator is unmasked and, in the comforting, reassuring manner of Golden Age Whodunits, sent to the gallows. Jessica Mann is the author of 22 crime novels. The first seven, which appeared in the 1970s, are technically “stand-alone” stories. They were followed by six books featuring the archaeologist Tamara Hoyland, who almost by accident gets involved in the world of criminality and treachery. Later novels feature several recurring characters, including the psychiatrist, Dr Fidelis Berlin, and take place in the same half-real half-imaginary world. In her most recent book, The Stroke of Death, Tamara Hoyland, now middle-aged, reappears. Non-fiction books include a study of women crime writers, Deadlier Than the Male; Out Of Harm’s way, the story of children evacuated overseas during WW2 and a polemic called The Fifties Mystique. Jessica is also a journalist and a book reviewer, at present contributing a monthly crime fiction column to the Literary Review. In her married name, Jessica Thomas, she has been a member or chairwoman of a variety of committees and boards and public bodies. She and her late husband, the archaeologist Professor Charles Thomas, lived in Cornwall for more than 40 years. Jessica has now moved back to London. Peter Lovesey, CWA Diamond Dagger winner and 2018 Mystery Writers of America Grand Master, shares highlights of his outstanding career, starting as an award-winning writer of historical mysteries, and now as an acclaimed author of cutting-edge contemporary crime fiction. Peter Lovesey was born in Middlesex and studied at Hampton Grammar School and Reading University, where he met his wife Jax. He won a competition with his first crime fiction novel, Wobble to Death, and has never looked back, with his numerous books winning and being shortlisted for nearly all the prizes in the international crime writing world. He was Chairman of the Crime Writers' Association and has been presented with Lifetime Achievement awards both in the UK and the US. Gladstone's Library is proud to be working with the CWA and the Detection Club on the development of the British Crime Writing Archive, the first of its kind in the UK. Please note residential places have now sold out. Non-residential places cost £110 which includes the event plus all food from 6pm Friday until 9.30am Sunday. Full payment is required at the time of booking. We are also looking to cast a small troop of willing male and female volunteers for Friday night’s murder mystery event written by Ann Cleeves and presented by Martin Edwards. The script will be sent to you in advance so you can familiarise yourself with it, but you will not need to learn it – we’re more than happy for everybody to read from the scripts on the night! If you are interested in taking part in the murder mystery event, please contact Louisa Yates at louisa.yates@gladlib.org or 01244 532350.